,,,I don't know how was inside brain of Peter during it,but I'm sure I was napping most of time. He took me to morning walking in snow, monastery seemed like a plastic model from top of hill. ---a old guy who drive to Roman but refused me because I can't pay---more suburb poit,he stopped me again and refused me again because I can't pay (so Why he stopped again ?) ---kind sister till Roman, I intended to imply to ask her to show the city a bit but she seemed not to notice my trying to imply it, left me suburb.---Salvador Dali took me till jucnction,I was glad because I'm fan of Dali.---The driver of parking truck waved me nearer, but he will go to Sceava (not Iasi),then he helped my hitchhike a little (I don't need it though) then finally drove me several km until junction by his friendliness (I wanted to get along woth him till Sceava :)---Soon after a few car I dropped off the truck, one car stopped like he was waiting his turn to appear in my hitchhike?! It was pity that he has a lot talk to me but only by Romanian,I have to learn it. By his super flying driving, Iasi city got close to us very soon (not like we got close there but?!) ---Oh, it's not so different from taking a bus?! 4:30 pm at Iasi. 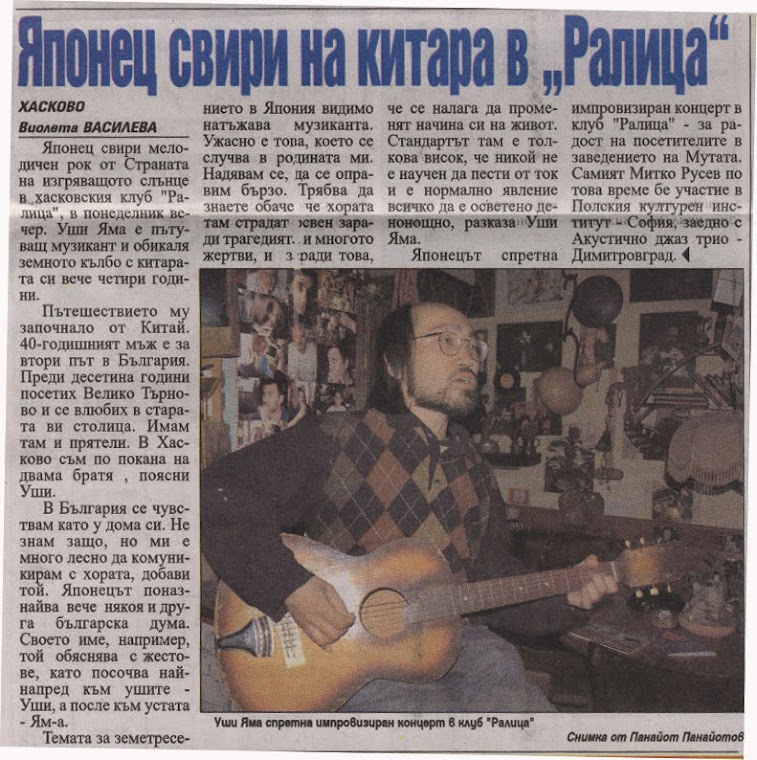 3 paper article about me by Andreea was published Today.